Third year running and I'm still going strong :) I'm loving trying out all these new recipes, and keeping a blog is keeping me accountable. This year I want to try to remember to take and add photos though. Bake the ham in the oven or boil it in a pot, depending on your preference. Either way, the interior temperature should be 75C when it's done. Prepare the apple/horseradish sauce in advance, as it's best cold. 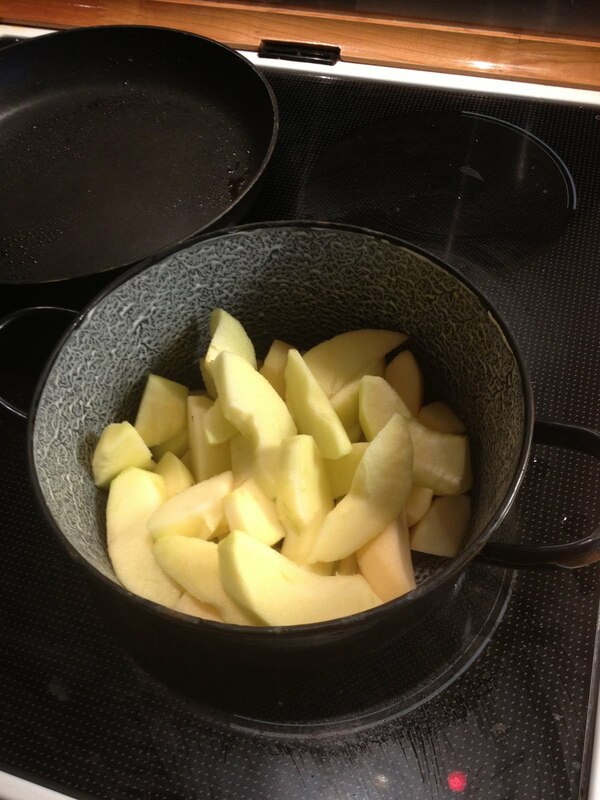 Peel and deseed the apples, and cut them into wedges. Put them in a pot and add the water. 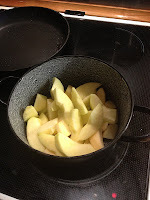 Heat over medium-low heat until the apples are soft enough that they can be mashed with a spoon. Add the horseradish a little at a time until the sauce has reached the desired level of spiciness.